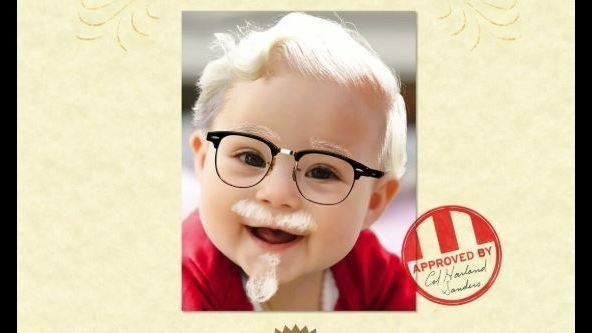 KFC has a novel contest going, the fast-food chain wants to give a pair of expecting parents $11,000 toward their child’s education fund, all they have to do is name their baby Harland. The contest is in honor of what would’ve been Harland Sanders’ 128th birthday on September 9. To enter the contest, parents must visit www.kfc.com/babyharland between September 9 and October 9 to submit the name, date, and time of their child’s birth, per a valid birth certificate or hospital records, after which the details will be “vetted appropriately” to determine one true winner of the contest. The winner will be notified on or around October 15, and awarded with the $11,000 donation, as well as an additional $3,850 to offset taxes, according to the official rules.